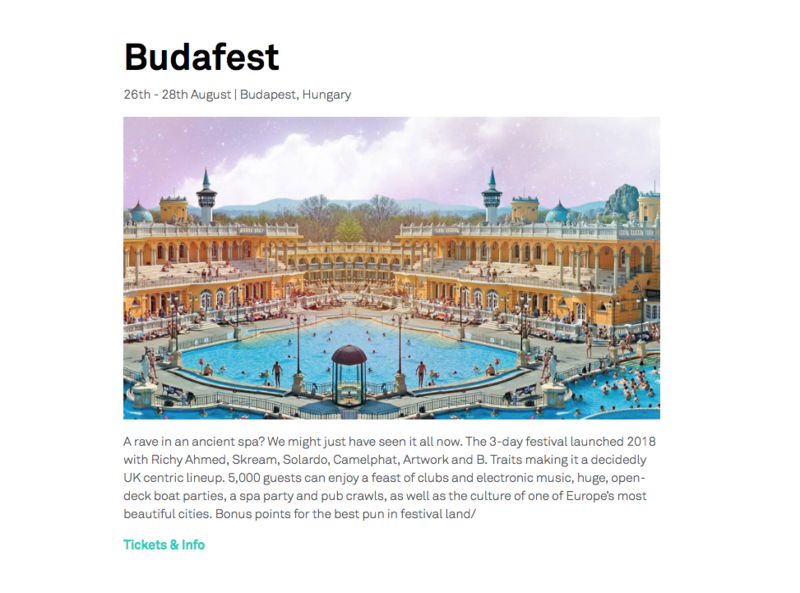 Budafest takes place in an ancient spa in Hungary. The 3-day festival launched the year with Richy Ahmed, Skream, Solardo, Camelphat, Artwork and B. Traits. It featured a feast of clubs, open-deck boat parties and pub crawls, as well as plenty of culture in one of Europe’s most beautiful cities. Ministry of Sound included the festival in their guide, which you can read below or online here.